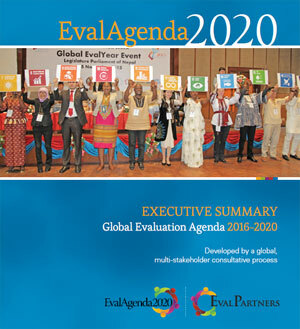 We would like to highlight the participatory nature of the Global Evaluation Agenda, not only in the way in which it was developed through consultation with the global evaluation community, but also in the way in which we would like to see it being implemented. We invite any individual, any organization, any government or any interested party to contribute to implementation of the GEA by undertaking relevant initiatives wherever they live or work. By working together, wherever we may be, we can advance knowledge, learning and accountability in the journey towards healthier and happier lives, social justice and a safer planet for all. In this way, we hope to see widespread ownership of the agenda – and indeed, we invite you to play your part, too. We ask you to decide: “which bite of the evaluation apple will you take?” As an evaluator, a commissioner of evaluations, a manager, a government official, or as a leader or perhaps as a Parliamentarian, we believe you will wish to become familiar with the content of the Agenda so that you can not only use evaluation to support your work, but also work to strengthen evaluation. Students, trainers, teachers and academicians can also play a key role in sharing and using the agenda in their institutions. 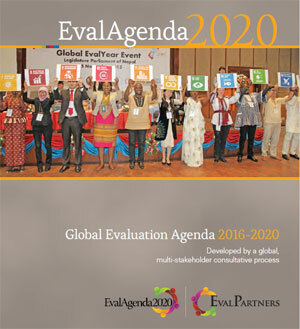 We hope the agenda will be widely shared, discussed and – most importantly - put into action.